My great-grandmother, Mary Emma Williams Bowen, is buried in Montreal. I have a photo of her headstone with the life dates 1863 - 1903. I had accepted that as gospel truth shall we say until last week; when I found her STILL ALIVE and still married to her husband Howard Prime Bowen! 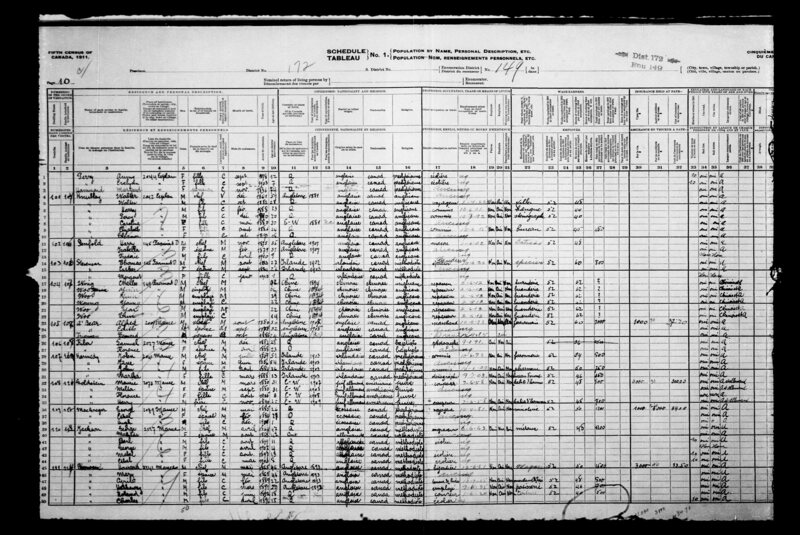 The census was taken June 11, 1911. Howard Prime married a second time on December 14, 1912 & he was listed as a "widower". Therefore I'm assuming that Mary Emma died after June 11, 1911 and before December 14, 1912. Is THIS a logical assumption? I have to assume that the census records are accurate i.e. 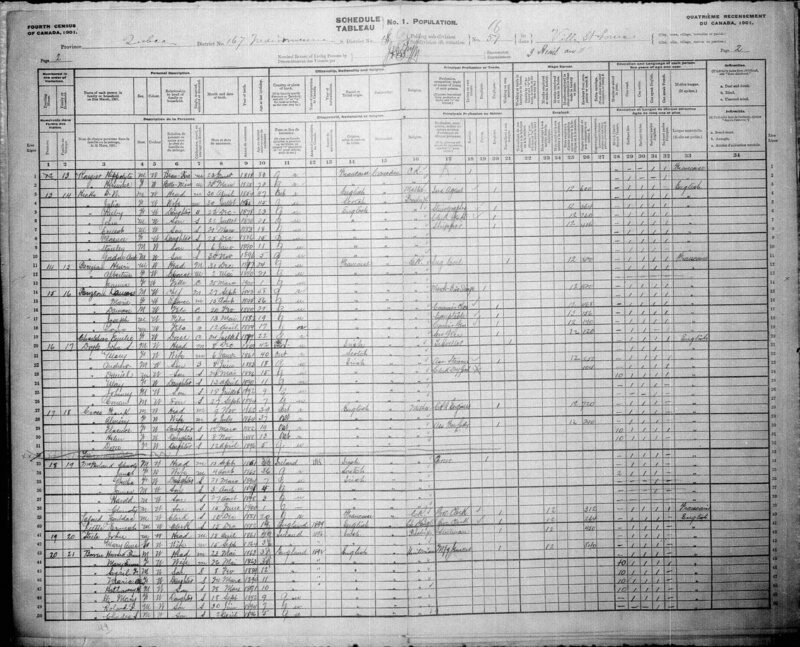 that the person taking the census actually saw Mary Emma & just wasn't told she was still alive. Is this a correct assumption?? What makes it more difficult is that there is no record of her death; the province of Quebec has a really convoluted method of registering a death & I can't find her death in their archives, Ancestry.ca, Find My Past, LDS - nowhere. Let's add another wrinkle. Both Mary Emma & Howard were UNITARIANS. I contacted the Unitarian Church in Canada & was told that quite frankly, the Unitarian's BMD records were sparse to non-existent. Until about 2 decades ago, all Quebec BMD records were left in the hands of the parish church. Unitarians' records aren't available so it's almost a circular problem! Add another layer and Quebec usually registered women under their MAIDEN names but the Unitarian Church came from England where women were registered under their married name!! Anyone have some ideas what might have happened or where I might look for her death? Since I don't have a specific date of date I can't order a death certificate either. You might get more help if you post this query in the Canada or Overseas Board. And good luck. That sounds like a nightmare. How odd? Could he have been cohabiting with his future second wife and passing her off as Mary, perhaps? Census enumerators did not inspect and account for family members. This is for the most part a form-filling exercise, though I am not familiar with the precise methodology in Canada. Have you contacted the cemetery to find out her date of death/burial? Perhaps they will have some additional information about her? If you can get a date of death, you can check the Montreal Gazette for an obituary. Looks like 1903 is online. Perhaps the second wife was also called Mary? ADDED - No - she was Janet Robson. See marriage information in a later post. What cemetery is she buried in. Have you tried contacting them to findout more info? A family tree at Geni.com has a death date of March 4, 1904 for Mary. There are some Unitarian records for Montreal online at Ancestry and I've checked through the 1904 records but did not find her. Also, the 1901 census says they were Methodists.